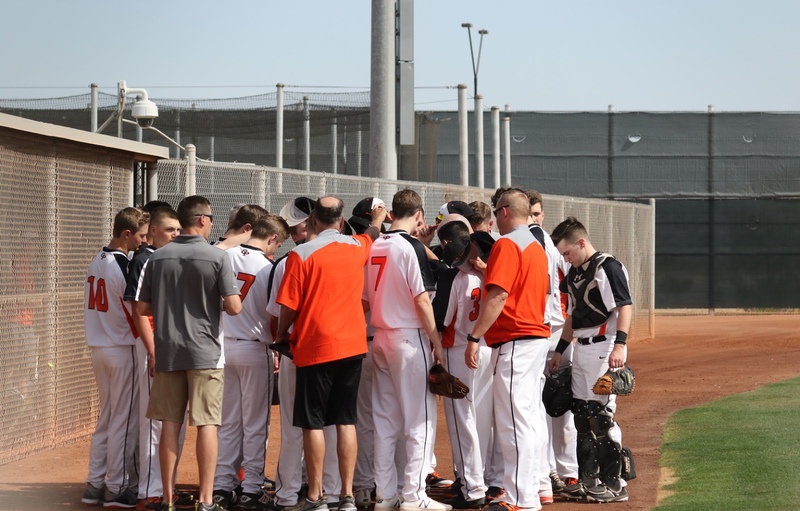 The Cathedral Prep Varsity Baseball team returned back last Monday from a week long trip in Goodyear, Arizona. At The Spring Wolves Classic the team went off in their first game, getting the win 14-3 against Payson. Next up at their second game they played Blue Ridge, getting another win, 11-5. In their third game against Mingus, Prep won 8-5. Lastly, in their toughest game against an opponent with ten Division 1 commits, Prep lost in a hard fought battle 6-2 against Palo Verde. The team all tried their best out there in the dry, warm weather. “Waking up at 8 a.m. to practice, having team lunches, dinners, hanging out in between, and also having our games mixed in,” said Regan Schleicher, senior and center fielder of the team. The team had plenty of fun throughout the trip, having fun with swimming, playing the sport they love to play, going out to places and just enjoying the weather. The only real challenge is the time difference out there. With it being three hours behind, it made it difficult for the players to sleep. They ended up leaving on the plane at 6 a.m. from Pennsylvania, to then arrive in Arizona at 6 a.m. local time. What was a three hour ride made it feel like they just didn’t even leave at all, as it was 9 a.m. back home. The team is definitely ready to take up the challenge of the season after the trip which connected the team a lot more.